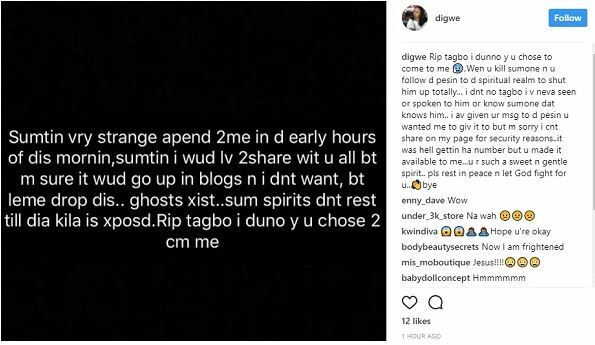 An Instagram user, @digwe has claimed that the ghost of Davido’s late friend, Tagbo, appeared to her and asked her to deliver a message to someone. The lady said she has never met the late Tagbo nor know anyone that knows him personally. She disclosed that she has delivered the message to the person he allegedly sent her to. She claimed that it was hard getting the phone number of the person but the deceased made it available to her.